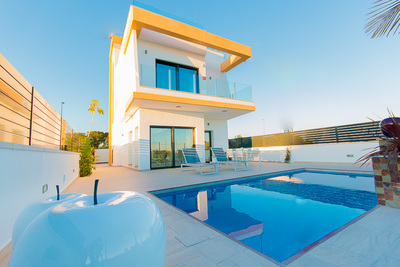 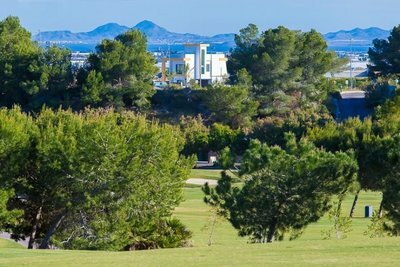 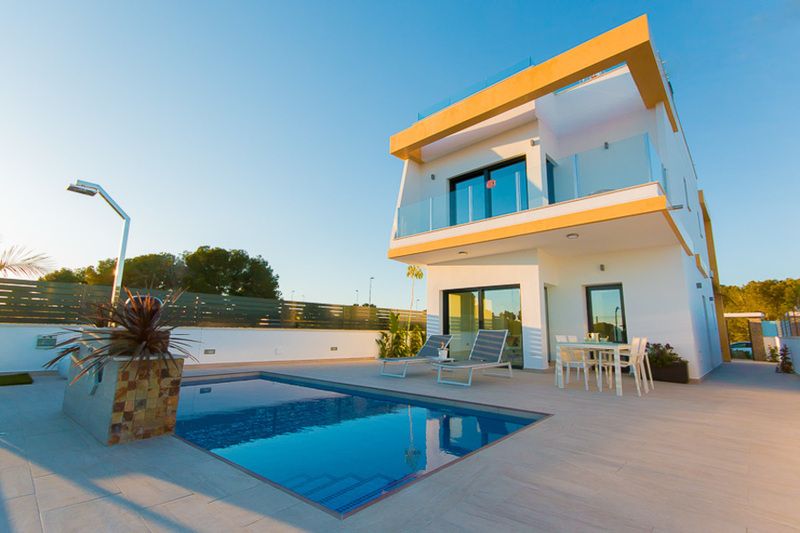 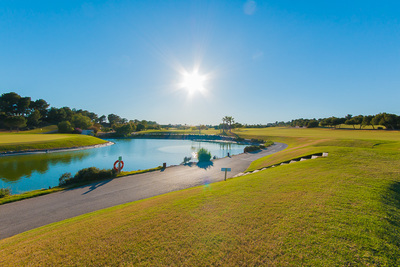 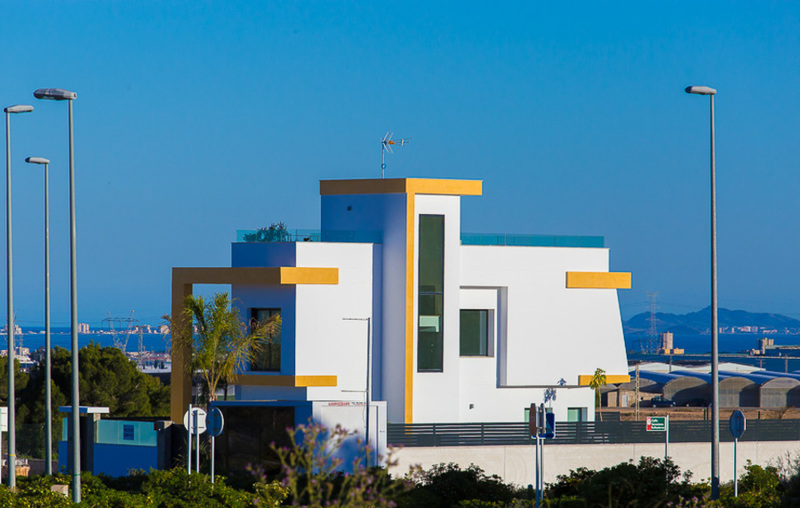 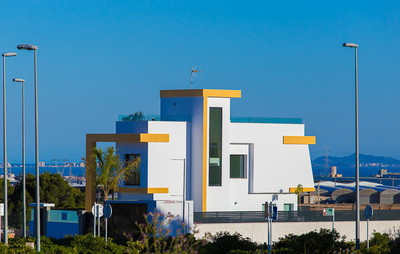 New to Lo Romero Golf, are these individualy designed, an built villas. 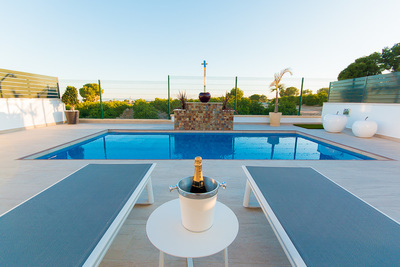 Each villa sits on a large elevated plot, with views across the orange groves, golf course, and out to sea. 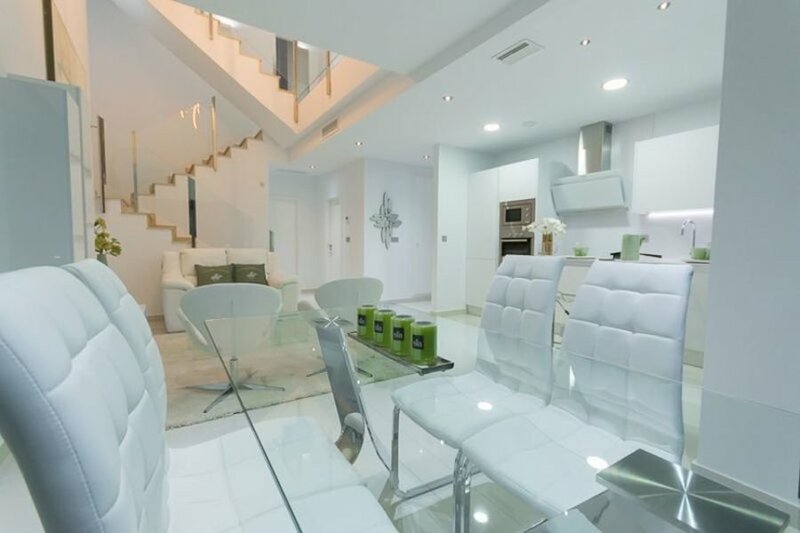 Inside these impresive villas, there are some fantastic touches, from the triple height ceilings, to the optional lift. 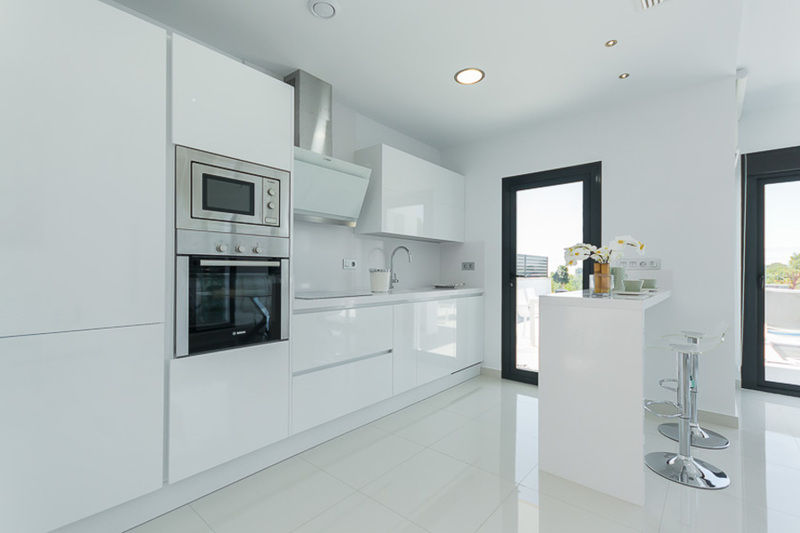 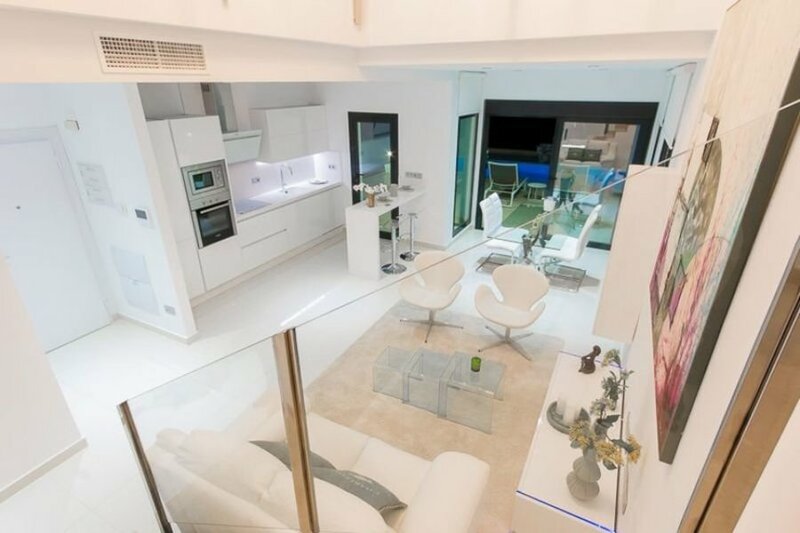 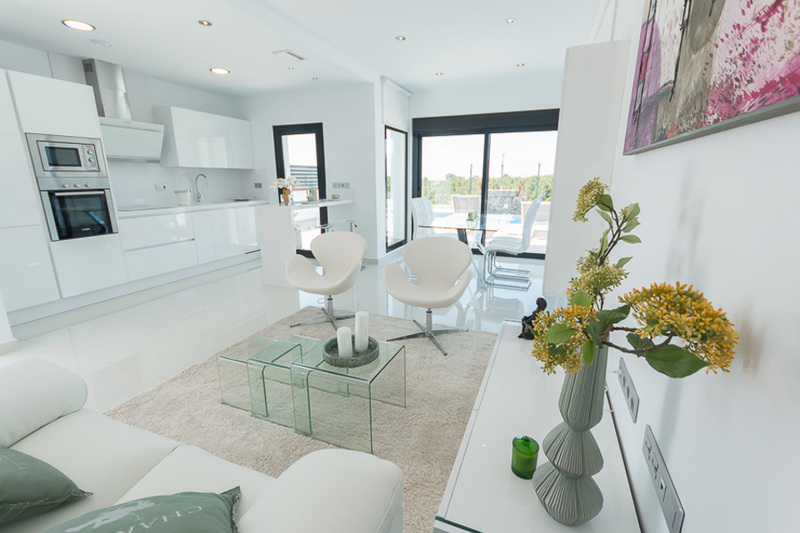 The main living area has an open plan concept,to include the living, dining and kitchen area. 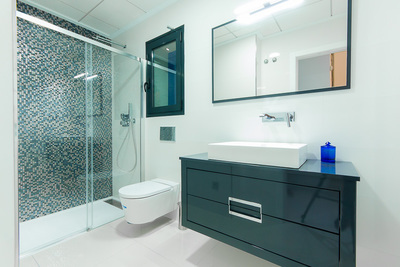 there is also a good sized double bedroom and modern bathroom to this level. 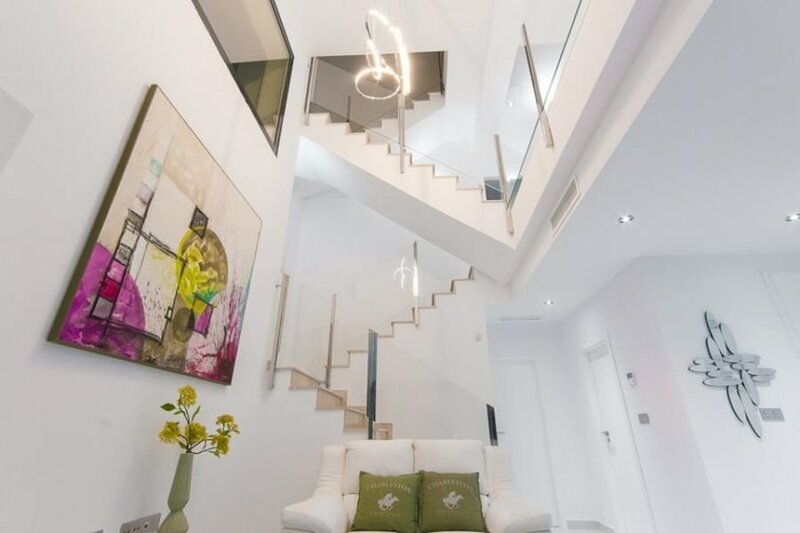 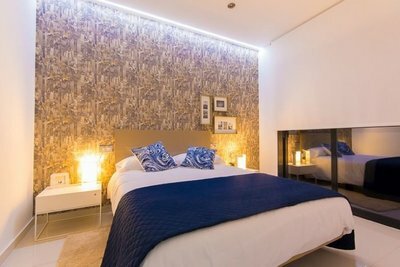 Leading up the impresive marble staircase, you will find 2 further double bedrooms, each with its own stunning en suite bathroom, and fitted wardrobes. 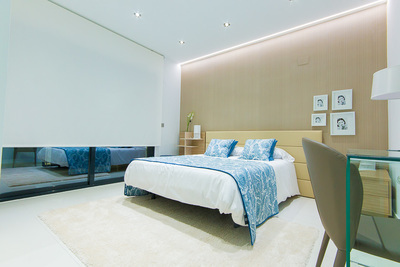 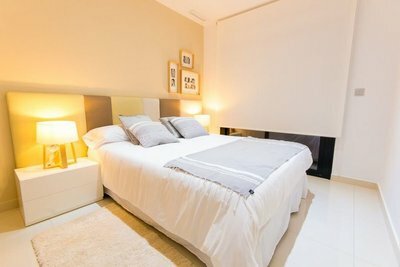 The Master bedroom, also has its own private terrace, in addition to this there is also a roof top solarium. 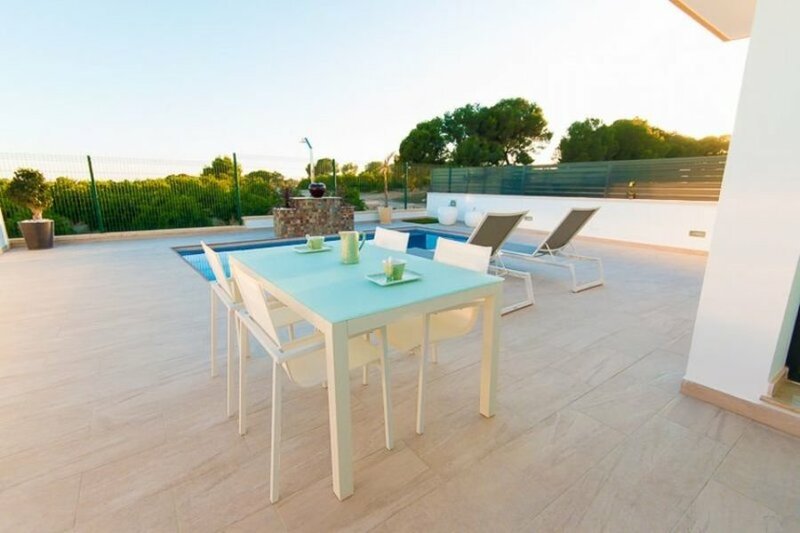 To the rear there is a fantastic pool, and terrace area, with ample space for outdoor dining and entertaining.